I do not know about you, but when I am at the station and I suddenly hear the announcement “The owner of the suitcase on track 23 is asked to return to his luggage immediately”, my pulse shoots up involuntarily. 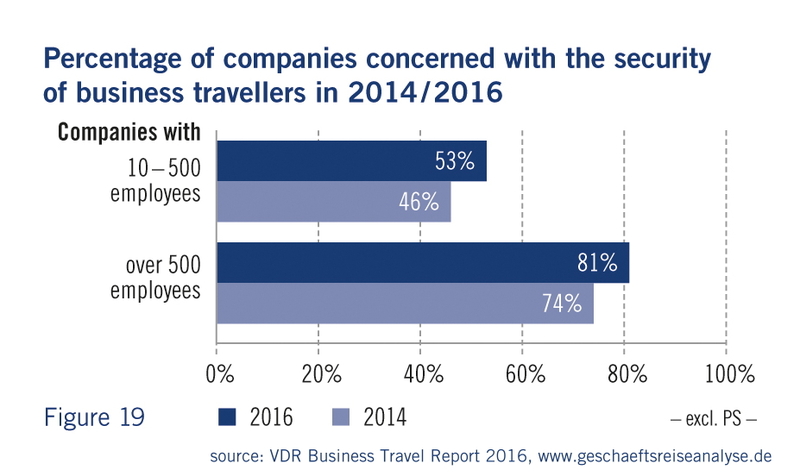 This increased need for security is confirmed by the recently published Business Travel Report of the German Business Travel Association, VDR (Verband Deutsches Reisemanagement e.V.) – and not only in the private context. Also on the company side this issue is getting more and more attention. Why? On the one hand there is a legal duty of care and the other hand internal corporate considerations are playing a role. Keywords are for example employee retention and company reputation. As the study shows, primarily larger companies (> 500 employees) are facing this topic intensively – 81 percent of these companies have this topic on the agenda, in smaller companies, the rate is at 53 percent. Numbers which are likely to be similar in other countries. Quite a big challenge with millions of business trips per year – in Germany, for example, business trips amount to 182.7 million, in the United States to 488.1 million per year. What are the risk potentials on business trips? Besides the rising threat of terrorism, natural disasters, robberies, diseases, accidents, kidnappings or strikes fall into this category. The question remains, what this has to do with IT. The answer is simple: IT can offer preventive and active support both in the pre-trip phase (before the trip) as well as in the in-trip phase (during the trip). And also post-trip (after the trip) the gained experiences help to further increase security. Intranet can provide training materials, emergency plans or travel notes – but we all know the half-life of knowledge. It is better to be informed actively. Thanks to IT, this can be done fully automated. Companies which are using a self booking tool, benefit optimally already during the planning of travel-specific instructions (e.g. travel warnings, risk assessments, necessary vaccinations) which are considered in the process. This information can be transmitted together with the booking to the employee concerned. In our travel management system we call it the “Active Consulting Portlet” – where all helpful information is displayed for the trip. This information portlet is triggered by an integrated rules engine with customized content control. Our product manager Paul Stief calls this rules engine aptly “Swiss army knife of application”. Also special approval processes can be defined depending on the region or risk profile of the travel. Usually, the basis here is the travel plan. Corresponding external service companies or corporate departments inform the traveler proactively on this basis about a changed perilous situation or in the worst case take care of a crisis management. For this it is necessary to collect data from various travel systems worldwide and to centralize it. Only this guarantees a reliable overall view. To quickly provide the traveler with the latest information and to assist him when needed, information or emergency apps are helpful. Here, for example, a 24-hour emergency number, emergency data and travel alerts can be stored. 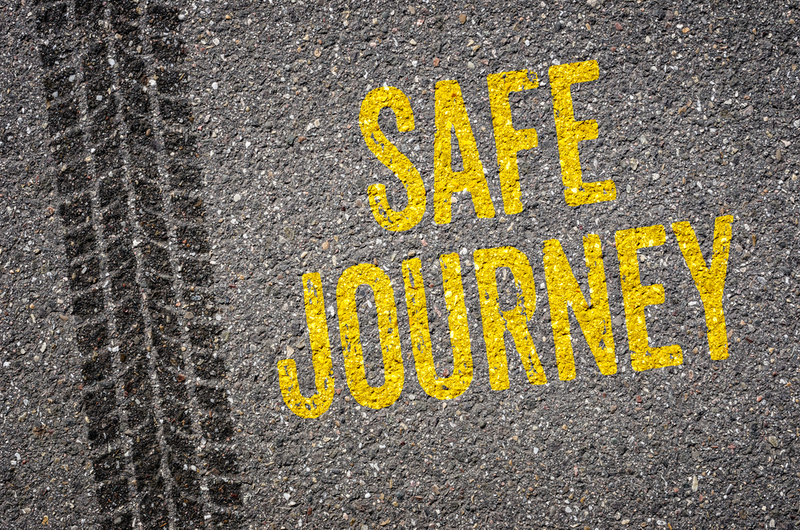 Cost savings, employee satisfaction, process optimization: In our digital age the focus is primarily put on the optimization of traveling – which also includes the issue of security. In addition to the personal safety described above, the protection of data plays an important role in our digital world, too, because many sensitive data are electronically with us on the trip. Therefore it is not surprising that according to VDR more than 80 percent of the German companies give specific advices to their employees about IT security on business trips. The measures concerning personal safety are lower. Thus here is still a need to catch up. In this sense I wish you always a good and especially safe travel!